Heidi Heckelbeck is a witch, but she is NOT a thief! Can she clear her name and help find her best friend’s missing pen? Maybe…with some magic! Heidi Heckelbeck’s best friend, Lucy, has a brand-new pen. It’s glittery, looks like a lollipop, smells like strawberries, and even lights up. It’s the coolest pen ever! Heidi wishes she had one just like it. And when it goes missing, Lucy accuses her best friend of taking it! Heidi Heckelbeck might be a witch, but she is NOT a thief! Heidi searches all over for Lucy’s pen, but it’s nowhere to be found. So what’s a witch to do…except turn to her Book of Spells? 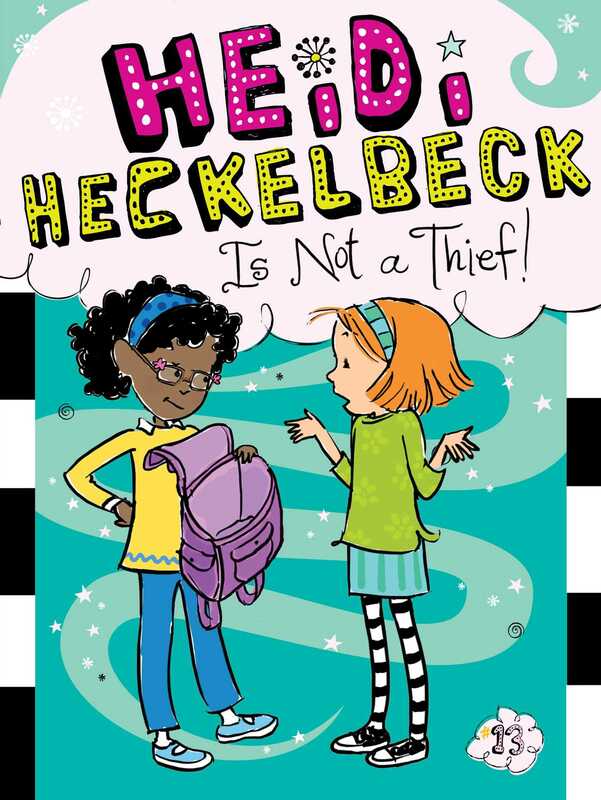 Book Cover Image (jpg): Heidi Heckelbeck Is Not a Thief!